electric motorcycle | I JUST WANT 2 RIDE!! BAM! Harley Davison updates on 4 new motorcycles! Harley Davidson just dropped information on 4 new motorcycles. This is part of their 50 in 5 program of introducing completely new products to their lineup. Well I am nothing like a “real” motorcycle journalist but here is my take. Make sure you watch the video at the top of the page introducing the new motorcycles. New Engine???? Visually the powerplant on these new bikes do not look like the current motorcycle motors. I get the vibe that they maybe another, updated, versions of the V-Rod Revolution Engine. The adds state that he engines pictured are 1250cc engines which would fit into the range of the older Revolution. Also, they appear to be water cooled like the Revolution. Of course, they just might be cosmetic changes to the Revolution X from the “Street” line of motorcycles. Now a few comments on the motorcycles themselves. Or at least my take on the photos. The Pan America – The BIGGEST surprise is the group…. A Harley Davidson ADVENTURE bike! With a mono shock rear, 2 into 1 exhaust and what appears to be a good bit of front fork travel they are moving back into a market segment that they abandoned when Buell was dropped. This could be interesting. Coming in 2020. The Live Wire – Looks a lot like the prototype Live Wire I got to ride a few years ago. Visually not a lot to go on here, maybe if I had more electric motorcycle knowledge I could see something but nope! The Street Fighter – Coming in 2020 another new motorcycle market segment for Harley. By appearances and name this is going to compete with the “naked” and “street fighters” like the KTM Duke and Triumph Speed Triple. This is going to be a tough market for Harley to crack, I hope the bikes have the spec’s to run bar to bar with the competition. The Custom – Looks a lot like a modern café racer motorcycle. That is about all I have for this one. Back to the engine for a moment. Harley’s Street/Revolution X engine has not been able to compete with the Indian Scout motor on the Flat Track racing series. If you listen to DawgHouse Motorcycle Radio you know we lament the lack of competition from the Harley motorcycles. Could this be their answer to Indian’s dominance? Now that we are past the glamor items….Harley has also stated the following items. “LiveWire will be followed by additional models through 2022 to broaden the portfolio with lighter, smaller and even more accessible product options to inspire new riders with new ways to ride.” More then one electric motorcycle! A lot of big news in a small website from Harley Davidson today! You may or may not have heard that Harley Davidson has a plan to release 50 new models in the next 5 years and 100 in the next 10. One or two of those new models are, for sure, going to be electric motorcycles. They have made statements that their new electric bikes will be out by the 2020 model year (which would be next summer/fall). Also, recent reports indicate that that Harley has filed for trademark protection on the name “H-D Revelation” for batteries, chargers and powertrain. It would not take a great leap to think that this could also be the name of the electric motorcycle. If you listen to the DawgHouse podcast you will know that I have issues with electric motorcycles. Most of those issues are around range and luggage. I have nearly a 90-mile (round trip) commute that includes crossing two mountain ranges. Tie that into the fact that I tend to be heavy on the throttle makes me concerned that without a 200 mile “normal conditions” range I might not make it home. I also need saddlebag space to hold a backpack of “stuff” that I transport to and from work. Both of those concerns would need to be filled before I would even consider an electric motorcycle. But Harley is bringing something to electric game that other motorcycle manufacturers, with the exception of Honda, can’t. Harley Davidson has nearly 1000 dealership in the US to serve as recharging points. I include Honda as they could leverage their car dealership in any electric recharge station count. As yet, no real clues have come out on what the production model will spec out with or its appearance. While it could be polished version of the prototype “LiveWire” Harley Davidson electric motorcycle (which I got to ride, click here for my post on the LiveWire) I would be disappointed if that were the case. Disappointed unless there was the sport bike with the “LiveWire” look and a cruiser styled bike. This is from my selfish POV, I could no longer ride a sport bike as a daily commuter. At this point in time I would be surprised if the design(s) were not completed. In order to meet the 2020 deadline they would now have to be in the process of building out the assembly line tool/robots/jigs etc.. So it true HD is going to bring an electric motorcycle to market. That alone states that electric motorcycles are now legit! As for the rest of the 50 in 5, I am hoping that the recently trademarked name “Pan-American” is for a new touring class motorcycle with a V-4! Before this past weekend I have, to the best of my knowledge, never been in the same room or on the same road as an electric motorcycle. That changed when Harley Davidson picked me to ride one of their prototype electric motorcycles known as PROJECT LIVEWIRE. Harley Davidson stated that these bikes are hand built proto-types to gauge the response of the public for EV motorcycles. Well, if these are hand built proto-types they are exceptionally well conceived and assembled proto-types. I looked closely at the fit and finish of the bikes before my time to ride and was very surprised at the quality of the work, these bikes are as well done as any production motorcycle. My test ride was held at the Project LIVEWIRE event at Rommel Harley Davidson, Annapolis, MD. While anyone could show up and check out the event only pre-selected folks got to take the bikes out on the road. Why me? I have no idea except maybe they read this blog (LOL) and my post on what it would take for me to buy an electric motorcycle. The event itself was well laid out by HD. They had a display tent that had a strapped down LiveWire which allowed folks who did not get the invite to “test ride” to at least get an idea of the feel of these bikes. The tent also had a display of HD gear, a video “safety briefing” for the test riders, and a Twitter vending machine. The Twitter vending machine was cool, if you twitted #projectlivewire along with a code it would drop you a LiveWire key chain! Seeing motorcycles in person is, as always, more important than seeing them in pictures or on video. While I am a cruiser and touring bike kind of guy I do appreciate the styling and good looks of many sport bikes. 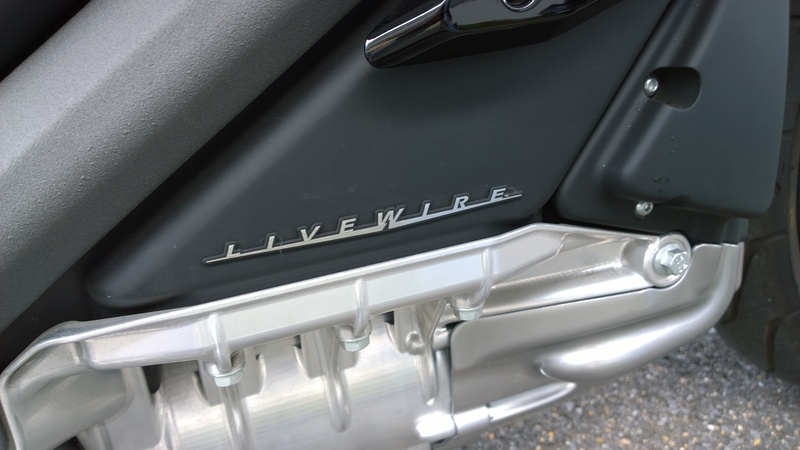 The LiveWire leans way closer to the sport bike side of design then it does to a cruiser. Overall I would give look of the bike a thumbs up. I liked the color scheme as it merged with the frame and how they used polished aluminum to “display” the engine. Speaking of the engine this is another thing that the videos just don’t do the bike justice. The sound of the motor is that of a jet turbine spinning up and down, very impressive. While it is not the normal Harley sound it is unique and is very noticeable. Another thumbs up. When the time for my ride came we were given another short safety brief on the fact that the acceleration was strong, there is no clutch and that the bike decelerates quickly when you roll off the throttle. The deceleration is quick enough that the briefer recommended that we tap the break to let the following bikes know we are slowing. That was sound advice as it did slow more quickly than you would expect with normal engine breaking. On the street the bike was more nimble and solid then I expected for a proto-type. It handled very well, not as well as a performance sport bike, but I was very aware that it would move in any way that I wanted, including a short weave through pothole. As the ride was in urban Annapolis area the roads were rough to ok at best. The front, inverted shocks and the rear mono-shock smoothed out the ride so that I really noticed the lack of a rough ride. Stopping was firm and quick, between the disc brakes and the engine deceleration I am sure that, if one was brave enough, this bike could do a stoppie. The most interesting and entertaining aspect of the bike is its acceleration! There was only one spot on the ride where I could really get on it so I hung back from the group to make sure I could really hit it and when I did WOW. I rolled on the throttle hard but not to max as I was not sure what would happen based on all the safety briefings. This thing just took off the claim of 0-60 in 4 seconds has to be true. I went from about 20 MPH on the ramp to well over the speed limit (the first number might have been an 8) as fast as I could smile and exclaim WOW! The ride itself was only about 5 miles and thus way too short to really tease out the pluses and minuses of a proto-type motorcycle. But I was interviewed, in person, and via a survey after the ride. 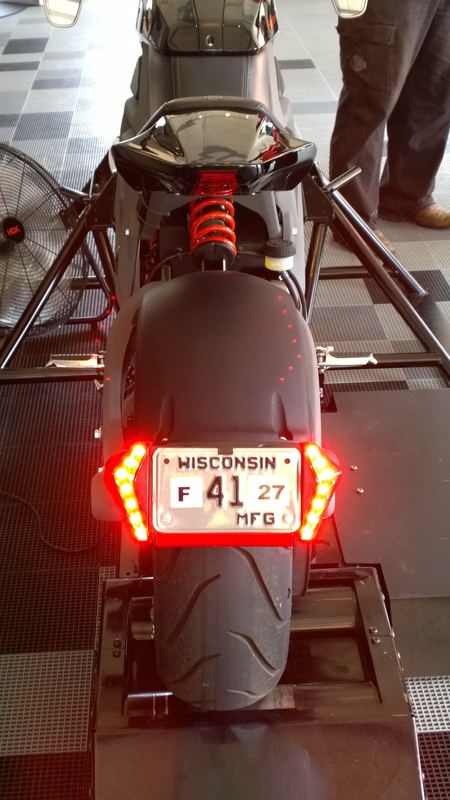 Many of the questions asked were around many of the things I stated were part of considerations for buying an electric motorcycle. In particular HD asked about range, charging times, customization and price. I added short statements about battery life and that while I liked the look of the LiveWire, I would need to own a cruiser style bike v. a sport bike version. My biggest disappointment was that my Go Pro camera did not work as expected. For what ever reason I only got the last minute of the ride, as we were pulling back into the dealership. I have no idea why it was not on, nor how it came on just as we returned…. oh well. All in all I have to give HD a big thumbs up for this effort. It was very well done for a “proto-type” and its performance, in this limited exposure, exceeded my expectations. Thank you HD for allowing me to participate in Project LiveWire. Harley Davidson Electric Motorcycle: Project LiveWire Test Ride!!! Well I had a very cool email waiting for me when I got home today. 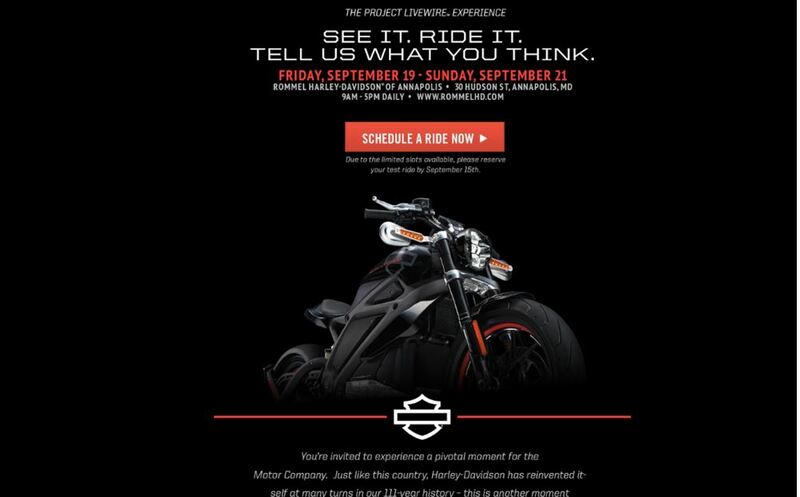 I get to test ride the Harley Davidson electric motorcycle Project LiveWire when it arrives at Rommel HD in Annapolis, MD. You can be sure I will do a review with pictures and video of that event! What would it take for me to buy an electric motorcycle? With the advent of an electric Harley Davidson I decided to really think about electric motorcycles. Yes they have been around for a while, yes Yamaha is looking at some production models as well but, come on, Harley Davidson considering electric motorcycles means we have to take this seriously. I have been reading a lot more about electric bikes lately, as there have been more than a few articles about this genus of motorcycle. We have even had a few discussions about electric bikes on the Dawg House Motorcycle Radio Show. I am not going to cite a bunch of numbers around range or how environmentally friendly/unfriendly the technology is or anything like that. I understand that it is going to be a long time before I can ride cross country, due to the lack of infrastructure. I am going to discuss what it would take for me to buy and use an electric motorcycle as a daily rider. So, what would it take for me to buy an electric bike? 1. No range anxiety. I need to be able to commute 80 miles round trip at an average of 60-80 MPH, with somewhat significant uphill climbs. I need to be able to do this with zero worry about range; in fact I need to be able to do this for two days in a row without recharging or worrying if I will make it home. This means I need a 200+ mile range in the worse of conditions. 2. No modifications to my home. With my home, (or my friends/family home) as the only “filing station” that I would have available, I do not consider it reasonable to be required to install a high capacity circuit in my garage to maximize my charging capability. 3. Charging time consideration. A refill from empty to full should take no longer than 2 hours, empty to half full should take less than 30 minutes. That still seems to be a long time but I am giving in to the fact that the technology for rapid charging is not now, nor will be for a long time, anywhere near that of filling a gas tank. 4. Battery life consideration. Batteries do not live forever; I want the first battery replacement to be included in the price of the bike. Whether that is 5 years from purchase or 15 years from purchase I do not want to worry about the cost to swap out the battery pack when it becomes necessary. That first swap has to follow the bike not the owner, if I trade or sell the bike the new owner should not be put at risk for the cost of the new batteries. 5. Charging stations availability. It is unlikely that in my or my children’s life that electric charging station will be as ubiquitous as gas stations. But, if a major manufacture (Harley, Yamaha) begins selling electric motorcycles then every dealer in their network needs to be a charging station. Not a great solution but a first step. 6. 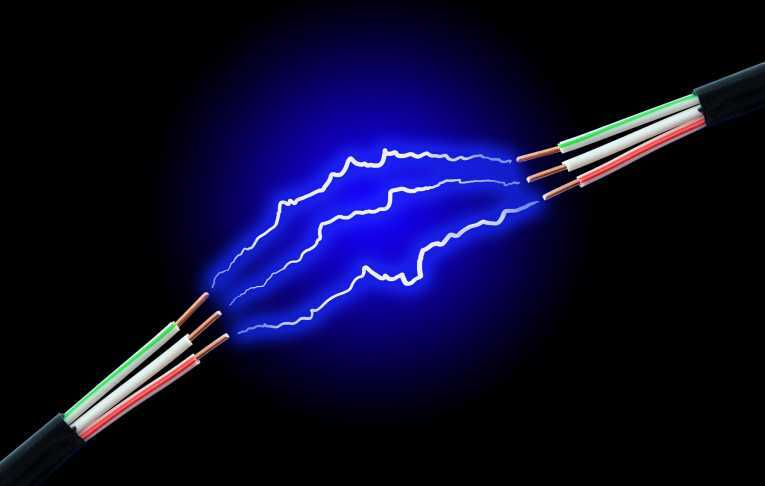 Compatibility -Is there a standard for charging hardware, software, volts, amps, etc.? If I am riding a Harley and pull into a Honda dealership will the charging station be compatible? Are the one off charging stations you see here and there standardized for motorcycles? If there is not currently compatibility in the electric motorcycle industry it will have to occur before I will consider buying one. 7. Customization consideration – Now this is not a deal breaker issue, but I would like to have the option to change out the appearance of the bike. New handle bars, saddlebags, grips, mirrors, etc. are things that I and others would like to change to make it their own… just look at my Army bike. 8. Ergo dynamics – I am no longer capable of using a sport bike style seating position for my commute. Due to age and 25 years of Army life I cannot ride in that position for any significant length of time. Most, including Harley’s entry, lean more to the sport bike styling and I have no problem with that. But for me to buy an electric bike it will have to have a cruiser type riding position. 9. Price – It cannot be more than 10% more expensive than its gas powered equivalent. I am willing to pay a little more upfront if I am able to save quite a bit over the long run. My ROI for fuel savings would have to be less than two years (20,000 miles). 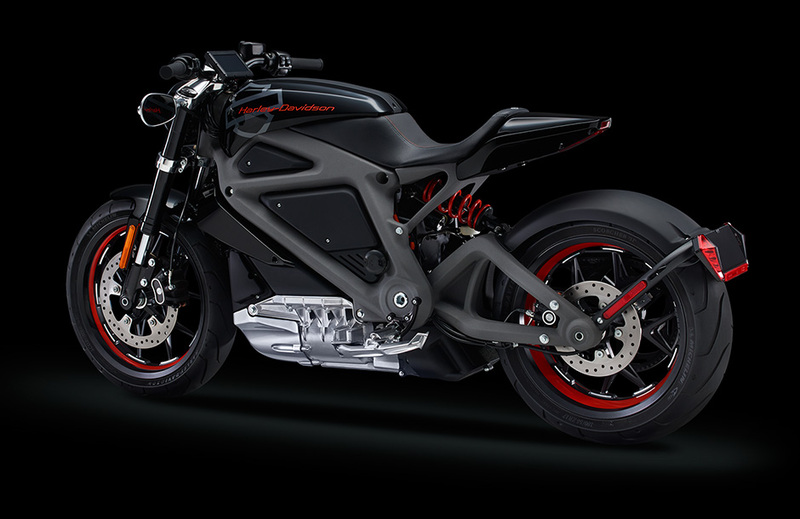 The Harley Davidson electric motorcycle is real and you can ride it this month! With the motorcycle spotted on the set of the new Avengers movie and a teaser video that came out yesterday announcing a big reveal today…we get Project LIVEWIRE! June 24-25 – Harley Davidson of New York. So if you live around there go check it out! 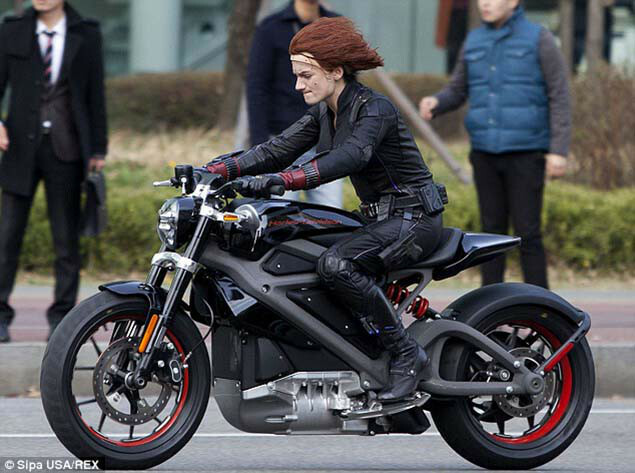 The folks over at “Asphalt and Rubber” posted this article about how an apparent electric Harley Davidson was spotted on the set of the next Avengers movie. Looks like a Daymaker headlight on the bike. Safety reflectors on a one off movie prop? Plus the other items pointed out in the article.